You have to let the world know about your new journey. That’s why Jesus calls every one of his followers to the symbolic act of Water Baptism. This simple declaration of your faith, is your way of telling those around you that the sins of your past have been washed away and you now enjoy the freedom of forgiveness. Going into the water symbolizes your old way of living, coming up out of the water symbolizes a brand new you, only made possible by the free gift of salvation through Jesus Christ. 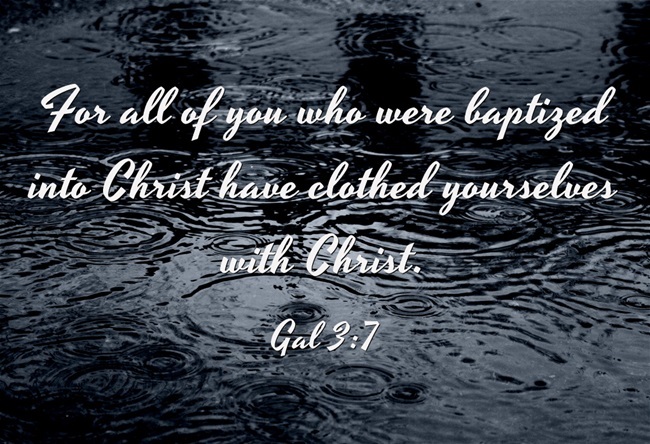 People often have questions regarding baptism: Why should I be baptized? I’ve already been baptized. Do I have to do it again? Does it matter if someone is sprinkled or dunked? If you have questions, please take a few minutes to read these Baptism Facts (PDF).